Breathing is something we all do but rarely give much it thought. Who really cares how you breathe? Well it may seem not to matter as long as you get oxygen in (which you have successfully managed to do your whole life), how you breathe can have a big impact on your ability to burn fat, build muscle, recover effectively, reduce pain, increase mobility and improve function. Let’s look at how you should be breathing and what proper breathing can do for you! When it comes to breathing, most people start off breathing correctly. If you watch little kids breathe (as the father of three children four and under I have ample opportunity for this), you will see their little bellies move out and in as they inhale and exhale. This belly breathing indicates the use of the diaphragm. However, as we get older and more self-conscious, many people spend their days trying to hold their stomachs in and end up as chest breathers. During normal inhalation, most people underutilize their diaphragms. It is a dome-shaped muscle in your upper abdomen. When you inhale through your nose, your diaphragm contracts and moves down which naturally pushes your stomach out. This creates a negative pressure in your chest cavity and air rushes into your lunges. Then to exhale, your diaphragm relaxes and air moves out of your lungs. 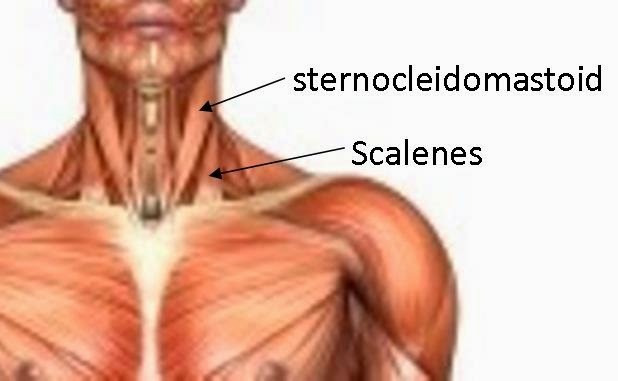 For larger breaths, you have additional muscles (sternocleidomastoid and scalenes) lift the rib cage and further expand the chest to allow even more air in. These muscles are often referred to as accessory respiratory muscles. If you need to breathe out forcefully, your abdominals contracts to help force air out of your lungs. What proper breathing can do for you! Two of the three branches of your autonomic nervous system are the sympathetic and parasympathetic. The sympathetic nervous system is your “fight or flight” system. It turns on in emergencies and will be more active during a hard training session or competition. The parasympathetic nervous system is your “rest and recover” system. It calms the body and helps restore it after stressful periods. Slow, deep diaphragm breathing is a great way to “switch on” your parasympathetic nervous system which will help to melt stress away and improve your health and recovery. Remember faster recovery = faster results! 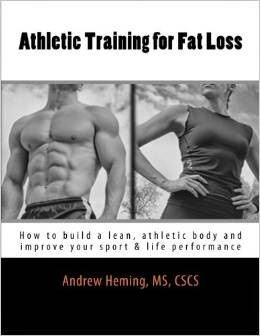 When trying to improve your body composition, you want to create a hormonal environment that favours fat burning and muscle building. One hormone you want less of is cortisol. Cortisol wastes away precious muscle tissue and contributes to abdominal obesity. As mentioned above, proper breathing helps your body get into parasympathetic dominance and this not only improves recovery, but helps reduce cortisol and create a better hormonal environment for fat burning and building muscle. Ever had trouble falling asleep? Instead of just lying there, try some slow, deep breathing from your diaphragm. I have tried this many times and before I realized what happened, I wake up the next morning after a deep, solid night of sleep. When you breathe too much through your chest, your body overly utilizes your accessory respiratory muscles. As Paul Chek pointed out, this can cause trigger points and stiffness in these muscles which can lead to neck tension and headaches. When you re-learn how to breathe more with your diaphragm, you give these accessory muscles a much-needed break. Part of mobility is learning to relax the muscles you are trying to mobilize. Diaphragm breathing helps your body relax. Next time you are stretching or doing mobility work, take a nice breath of air in through your diaphragm and then breathe out as you push into the stretch. This will help your body relax and move into a new range of motion. Your glenohumeral joint (shoulder joint) health is dependent on the proper positioning of your scapula (shoulder blade) which is dependent on the proper mobility and functioning of your thoracic spine (upper back). When you have breathing dysfunctions and do not properly use your diaphragm, your thoracic spine can lock up and not function properly which can lead restricted shoulder mobility and shoulder pain. This is why FMS (functional movement screen) co-founder and physical therapist Gray Cook uses diaphragm breathing as part of the corrective exercise protocol for shoulder mobility issues. Get in front of a mirror and practice the breathing technique showed in the video above. Once you have it down, try to breathe with your diaphragm as often as you can remember throughout the day. When you feel stressed, stop what you are doing and take some slow, deep breaths. Try to take 10 minutes each day to lie down and do some slow, deep diaphragm breathing to facility recovery. Do this again at night when you lie down in bed to sleep.